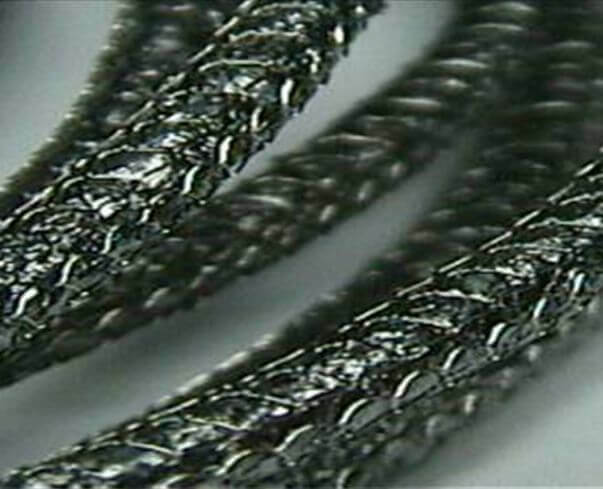 graphite yarns, reinforced with metal wire, normally reinforced with inconel wire. 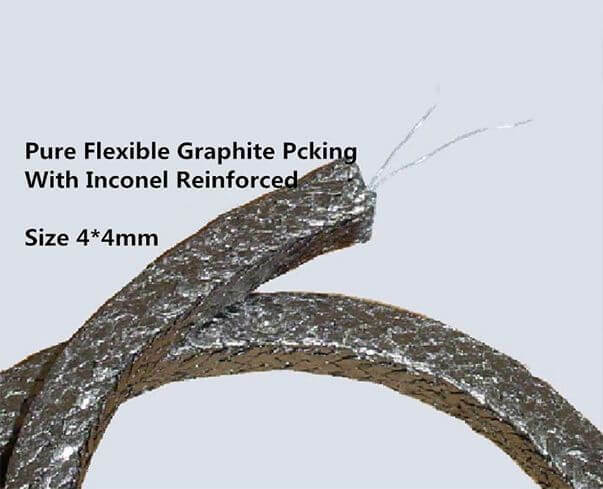 It retains all the inherent benefits of SUNWELL P400 flexible graphite packing. 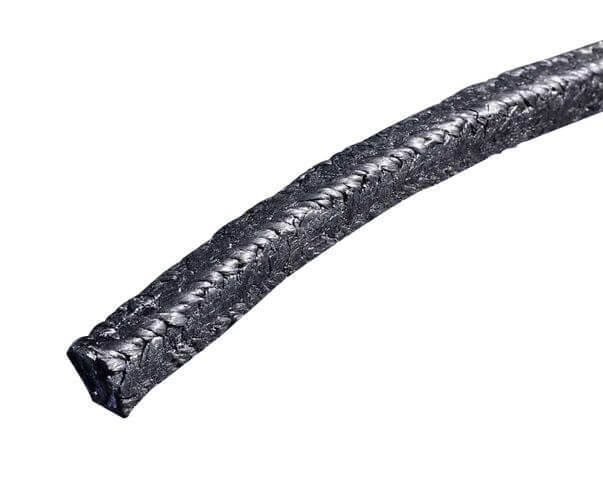 >Flexible graphite packing is a multi-service packing capable of a wide variety of uses throughout a plant. 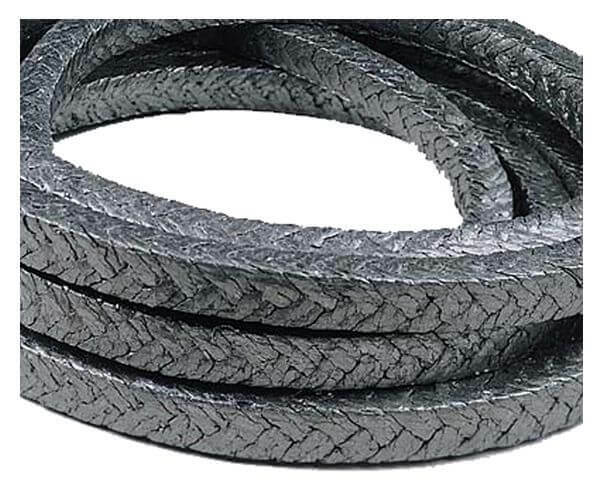 >It can be used in valves, pumps, expansion joints, mixers and agitators in high-pressure and temperature. >High temperature and high pressure valve applications in general. >It can be reinforced with nickel, stainless steel, copper, etc. 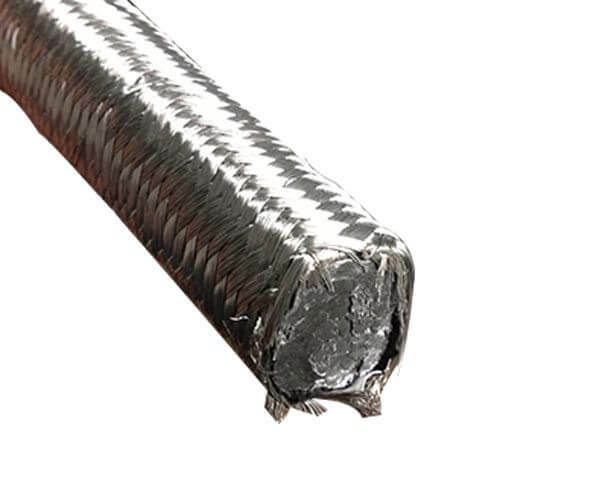 > Precaution: in oxidizing environment may use with SUNWELL 4**R anti-extrusion packing rings.